"A peaceful village that combines a friendly atmosphere with access to a myriad of amazing natural sites." Less than an hour’s drive from Paphos on the northern coast of the island lies the unspoilt rural area of “Polis tis Chrysochous”, with its relaxed, agricultural town of Polis. Over the years it has yielded numerous ancient relics. Bordering the Akamas Peninsula Nature Reserve, with its sandy bays, wildlife, and geology, this area is ideal for ramblers, water-sport enthusiasts, or those wishing to relax in a tranquil environment. It is close to the harbour town of Latchi the perfect place to explore the wonders that the sea has to offer, while also being within touching distance of the Akamas Peninsula, famous for its many beautiful sites and hiking trails. 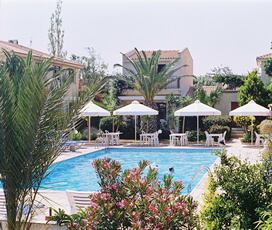 It is also situated close to other traditional Cypriot villages, offering a more authentic and less touristy experience than many of the other resorts in the island, allowing visitors to discover how real Cypriots live their lives. This makes Polis ideal for family holidays and nature lovers, a safe haven, where the air is fresh, the beaches are unspoilt, there is plenty of open space and cosy restaurants where visitors can relax in a beautiful setting. Polis or Polis Chrysochous is a small Cypriot town located on the northwest coast of Cyprus. It lies within the Paphos District and is on the edge of the Akamas peninsula. It is located slightly inland of the harbour village of Latchi (3.1 km) or a 5-minute drive, which is famous for its idyllic harbour and fish festival. 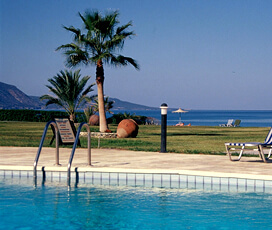 The larger resort of Paphos is 37.2 km away, with Paphos International Airport slightly further (50.1 km). This means that Polis is slightly removed from the central parts of Cyprus, making it ideal for anyone who loves seclusion and nature. The town was initially known as Marion, a Hellenistic Mycenaean city-state that exported gold, copper and other items to Athens and other places. It sits on the Akamas Peninsula, which is named after Akamas, son of the Athenian hero Theseus, who supposedly disembarked there after fighting in the Trojan war. Marion was eventually destroyed during the wars fought between Alexander the Great’s successors, having chosen to support Antigonus rather than the eventual holder of Cyprus, Ptolemy, who laid waste to the city and transferred the residents to Paphos. Eventually, settlements began to grow up again in the area, with the first mention of Polis coming in the Middle Ages. As it is close to the famous fishing town of Latchi, the seafood on offer is enticingly good, with Cypriot favourites like tuna and swordfish, and Mediterranean classics like calamari and prawns also available. Cypriots are enormous fans of meze and ouzo, which involves a variety of small dishes, accompanied by the famous aniseed-like spirit. Some of its foremost attractions include the famous Akamas Peninsula, which is host to a multitude of animal species. This appeal is also enhanced with a gorgeous sandy beach that features golden sands and azure blue waters. There are also a number of great historical attractions in the Polis area, including the Byzantine museum, which is an educational and interesting day out. Polis is also close to many fascinating Cypriot villages, such as Neo Chorio Village, that provide an authentic perspective on traditional Cypriot life.